Have you always desired to have long hair but did not have the time to maintain and take care of them? Do you envy celebrities like Demi Moore and Lindsay Lohan who have long, straight hair? Well, you will be surprised to know that many of the celebrities with long, curly or straight hair, put on hair extensions. Yup! they are not real hair. Earlier, hair extensions were the prerogative of the rich and the famous as it cost a lot of money to get them applied at a salon. But now, with clip in hair extensions from MyHairX, every woman can make her dream of getting long hair a reality. 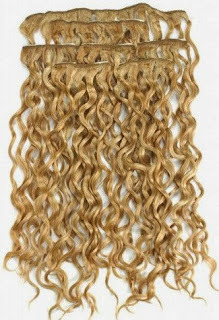 Clip in hair extensions from MyHairX are made from natural hair. They come in a variety of shades such as black, dark brown, light brown, blond, etc. so that a woman can choose the one which is almost the same color as her natural hair. Clip in hair extensions not only add length to the hair, they add a lot of depth and volume to it too. Wearing clip in hair extensions is quite easy. They come in the form of strands of hair, attached with a small-sized clip. This clip can be opened and snapped under the natural hair of the woman. To apply them at home, the natural hair have to be first divided into a number of small sections, approximately of one inch. 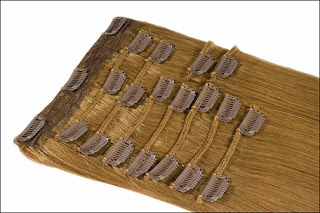 After that, the extensions are snapped under the natural hair in each of these sections. Although, clip in hair extensions are very easy to apply, a woman should look at the pros and cons carefully, before opting for them. The main advantage of clip in human hair extensions from MyHairX is that with a little practice, they can be easily applied by a woman at home itself. This saves the hassle of going to a hair salon and getting the hair extensions done. 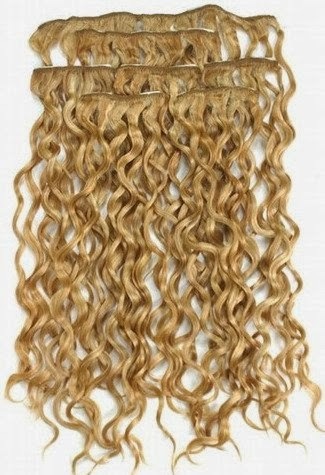 The second advantage of these hair extensions is that a woman does not need to spend a lot of money on them. The only time she has to spend is when she is buying these hair extensions. After that, no money is required for putting them on as it can be done at home easily. Another advantage is that it takes just a few minutes to put them on and to remove them, thus saving a lot of time for the woman. Lastly, clip in hair extensions look almost similar to the natural hair and a woman can style them whichever way she wants. She can curl them or straighten them or roll them in a bun. Speaking of pros and cons, their biggest disadvantage is that a woman has to be very careful with them as sometimes they can fall off her hair especially if not applied in a proper way. Another of their drawbacks is that if the woman moves her hair to the side, the micro clips of the hair extensions can be seen, more so if the woman has thin hair. MyHairX Clip in hair extensions can be worn by a woman on any special occasion or daily to spice up her look. However, a woman should be very careful when buying them as the ones which come cheap and are of poor quality can sometimes damage a woman's natural hair. With these things in place, a woman can get the much desired long, stylish and stunning hair using clip in hair extensions.